Art lies in concealing art. Lake quiets, tired of my lies. The danger lies in forgetting. Winter is where hope lies happy. Your path lies across the stars. 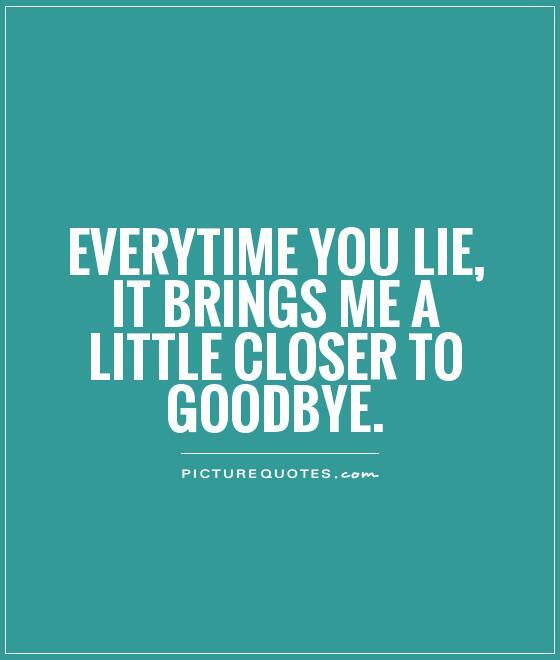 I mean you last as long as lies. The lies are in different places. I know my lies are always wishes. What lies north of the North Pole? In the foolishness lies the danger. Most virtue lies between two vices. Our spirituality lies in wholeness. 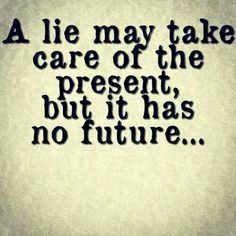 Don't repeat the lies of the liars. Myths are lies that tell the truth. True beauty lies in true education. In the motive lies the good or ill. The light that lies In woman's eyes. So much magic lies beyond our fears. Victory lies in not getting defeated. My beautiful proof lies all in ruins. Beneath the excuse lies your destiny. 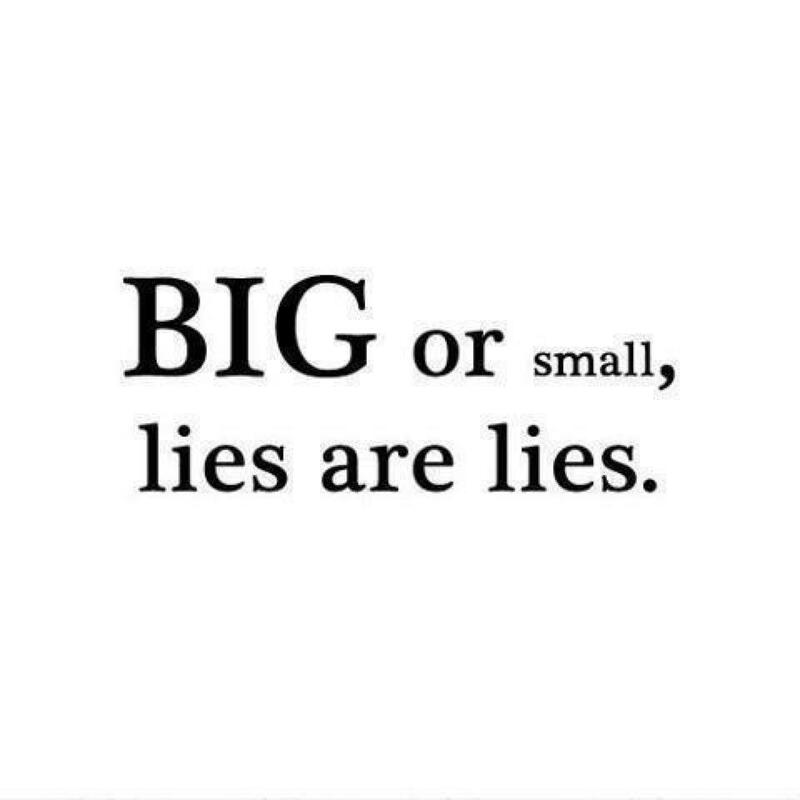 You can't build a foundation on lies. The perjurer's mother told white lies. He that makes his bed ill, lies there. 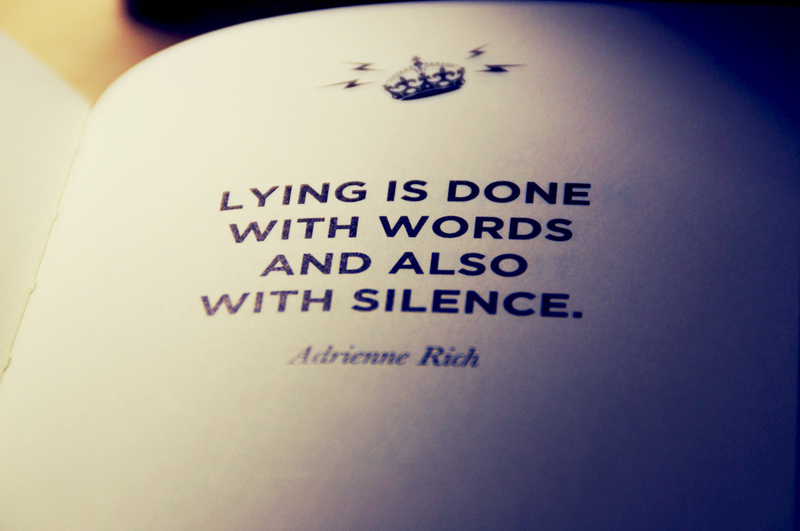 Sometimes you need lies to stay alive. Do well the duty that lies before you. The meaning lies in the appropriation. Here Skugg lies snug As a bug in a rug. When one is polite in German, one lies. Do the duty which lies nearest to thee. Their smiles are lies. Most smiles are. 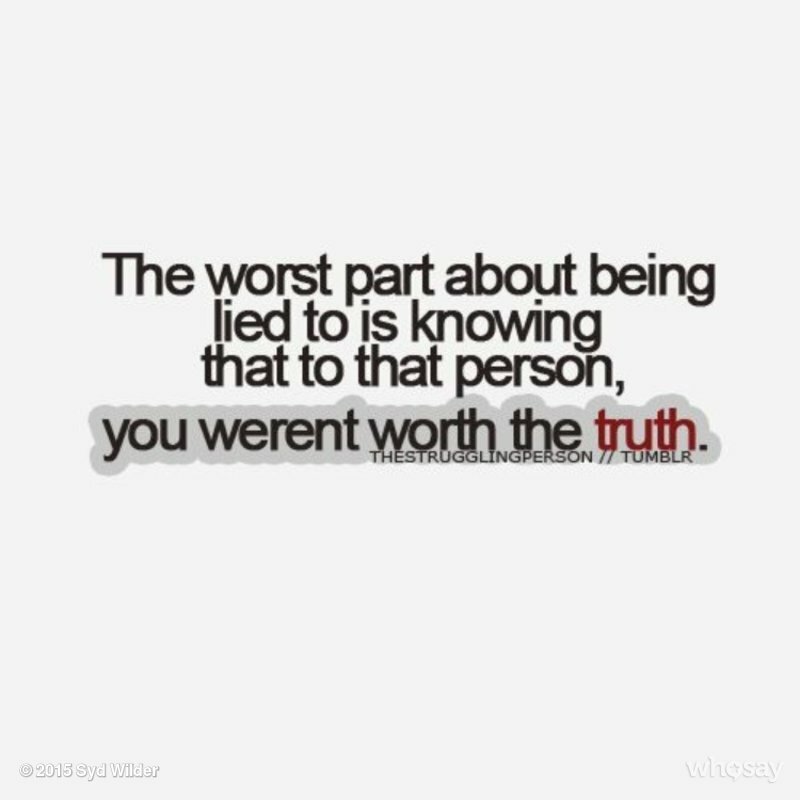 The biggest lies we save for ourselves. He is almost a statesman. He lies well. The whole life lies in the verb seeing. Impact lies in the vicinity of mistakes. Security lies in our ability to produce. Behind any Strength lies a greater Love. 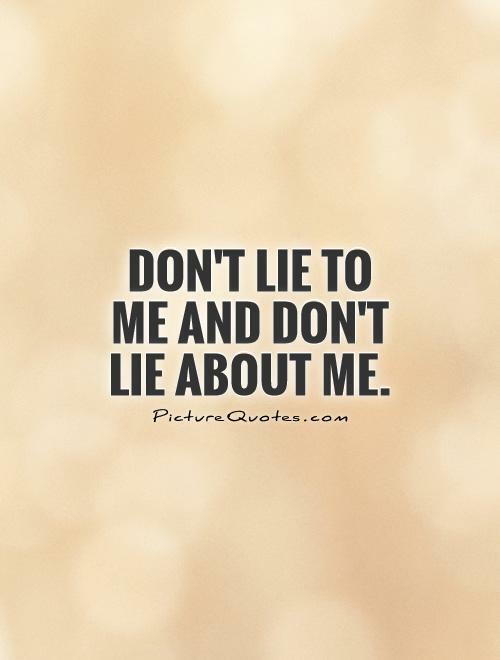 Your piping-hot lie is the best of lies. In the wave lies the secret of creation. The heart lies to itself because it must. Ask no questions and you'll hear no lies. Deep within each one of us lies a garden. In our beginnings lies our journey's end. Faith makes blessed. 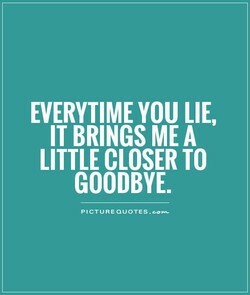 Consequently it lies. 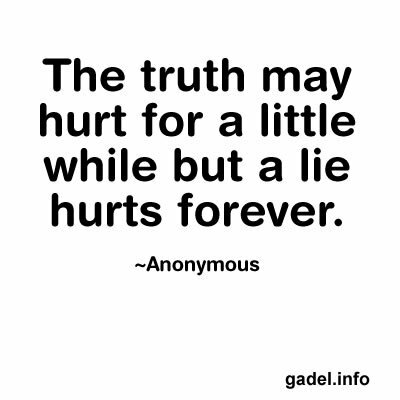 Particular lies may speak a general truth. Only lies offend me, never honest counsel. Beyond the limits there lies other limits. Of lies, false modesty is the most decent. Behind every mystery lies another mystery. In every failure lies the seeds of success. Behind real freedom, there lies discipline. You have to learn to read between the lies. Compliments are only lies in court clothes. As I've always said: The future lies ahead. To expect reason is where the fallacy lies. There must be repressed truth even in lies. Nature, so far as in her lies, imitates God. Film is lies at twenty-four frames a second. 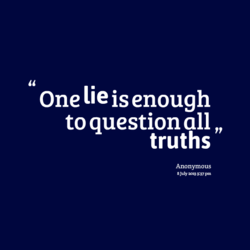 And nobody lies as much as the indignant do. The doom lies in yourself, not in your name. Our power lies in our love of our homelands. Find your major flaw. There lies your glory. Everyone has secrets and everyone tells lies. Wisdom lies in understanding our limitations. Charm lies in complete forgetfulness of self. Truth and love will overcome lies and hatred. The man who lies asleep will never waken fame. In misfortune lies the seed of future triumph. He that lies with the dogs, riseth with fleas. When the tongue lies, the eyes tell the truth. Underneath all reason lies delirium and drift. A feature film is twenty-four lies per second. Who lacks confidence speaks lies more readily. Here lies Mickey Mantle. Banned from baseball. Some promises are lies we never meant to tell. 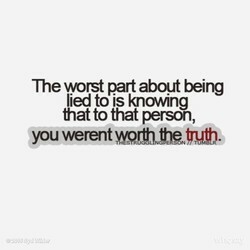 A liar lies to others. A fool lies to herself. Hee that lies long a bed, his estate feeles it. I'm focused on the task that lies ahead for us. ...visual truth lies in the structure of light. The virtue lies in the struggle, not the prize. Between the vision and the act lies the shadow. 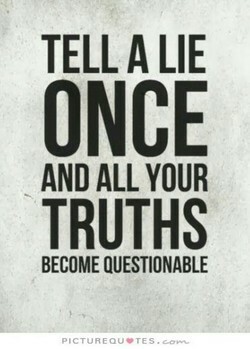 Tell the truth, lies are difficult to remember. Virtue lies half way between two opposite vices. The usefulness of the pot lies in its emptiness. The miracle often lies outside our comfort zone. 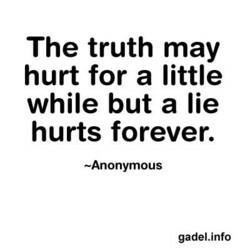 The truth just happens - lies take time to make. He lies like a book. And he reads a lot of books. The grandeur of man lies in song, not in thought. The only true immortality lies in one's children. All of what the government said is lies upon lies. Hmmmm Light makes shadow. 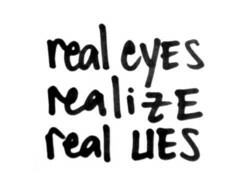 Truth makes lies. Hmmmm. From what you didnât say, lies that you did say. Close beside my knowledge lies my black ignorance. I have opened newspapers and read incredible lies. Success often lies just the other side of failure. Philanthropy lies at the heart of human greatness. So much of our future lies in preserving our past. The journey of high honor lies not in smooth ways. Use minds to solve problems, not lies and bullets. Between the subject and the object lies the value. I never ever Google myself. That way madness lies. Plausibility is a trap for the truth laid by lies. In belief lies the secret of all valuable exertion. Our salvation lies not in knowing, but in creating! The way to truth lies through ahimsa (nonviolence). The salvation of the world lies in the human heart. Don't ask any questions and you won't hear any lies. The heart of France lies between Brussels and Paris. Just a turn of the doorknob, and there lies freedom. The merit in action lies in finishing it to the end. Halfe the world knowes not how the other halfe lies. Here lies Gomez Addams -- he was good for nothing. I throw him two bones: a smile and a nod. 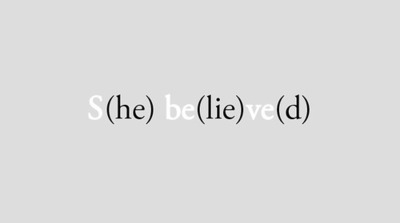 Both lies. But lies were what people wanted; that was politics. Religion lies in being and becoming, in realization. In the midst of every crisis, lies great opportunity. The camera lies all the time -- lies 24 times/second. 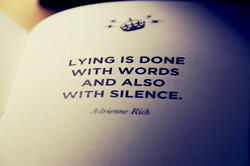 The truth [always] lies in things that have no words. In our dreams lies our unfinished work for the world. 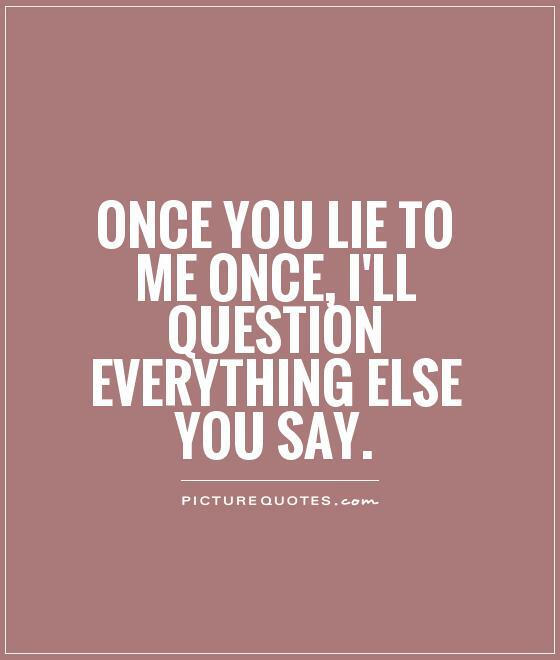 I didn't live a lot of lies, but I lived one big one. These are lies, there is not a word of truth in them. The biggest inhibitor to change lies within yourself. Forgive me for my disrespect, forgive me for my lies. The souls ability to nourish itself lies in the heart. Truth without love kills, but love without truth lies. Better is to speak unpleasant truth than to tell lies. Be not dismayed; in the future lies the Promised Land. Behind every success, there lies a magical word: Dare! The Great Spirit is angry with all men that tell lies. The daily life is so wearisome; yet duty lies that way. We know nothing in reality; for truth lies in an abyss. The only past which endures lies wordlessly within you. 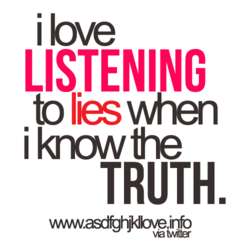 The truthful man ends up realizing that he always lies. True strength lies in action. Let the weak react to me. 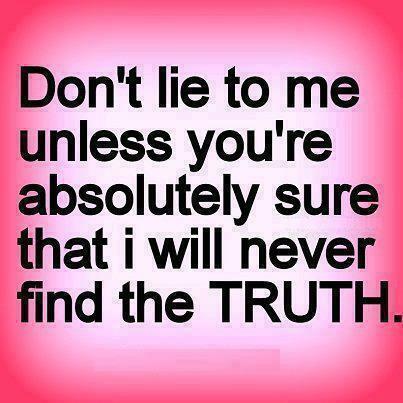 I believe in absolute honesty and sensible social lies. 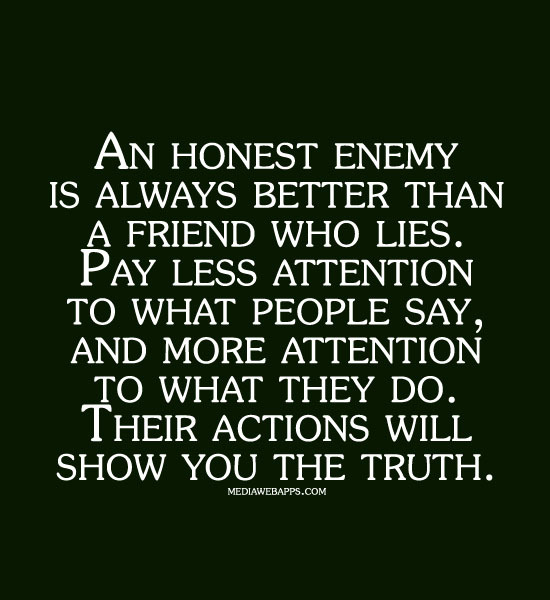 Good intentions are only lies the weak tell themselves. Within that awful volume lies The mystery of mysteries! Our rest lies in looking to the Lord, not to ourselves. In the recognition of loving lies the answer to despair. Death lies dormant in each of us and will bloom in time. 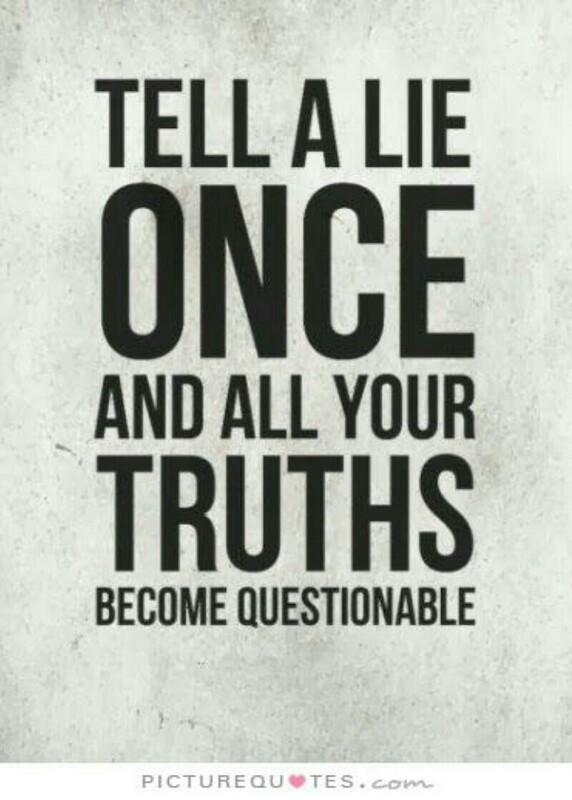 the chief thing I learnt at school was how to tell lies. I believe that beauty lies in what makes you feel happy. 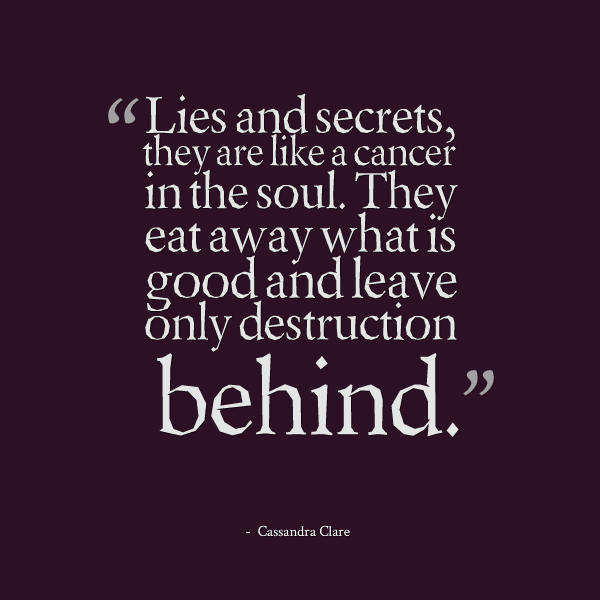 Gossip lies nine times and tells a half truth the tenth. The dead hand of research lies heavy on too many novels. 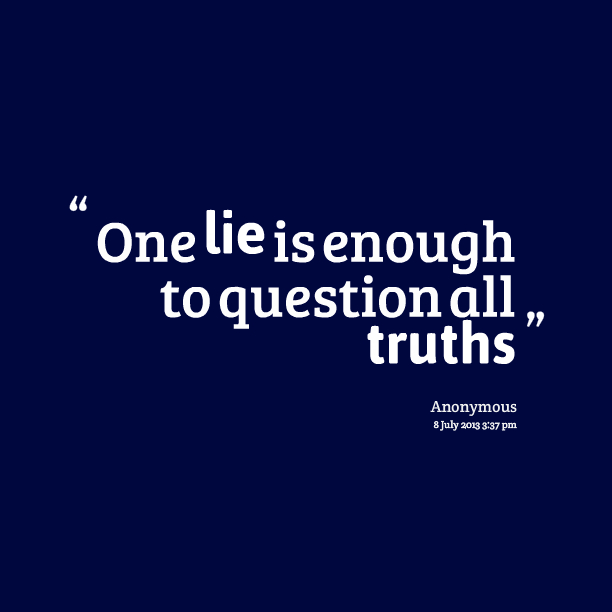 When witnesses concoct lies, they often miss the obvious. In and through community lies the salvation of the world. Mystery lies over the sea. Every ship is bound for Thule. Isn't it too bad that the great truths are all such lies. So the self under the eye lies, Attendant and withdrawn. Burn me. Drown me. 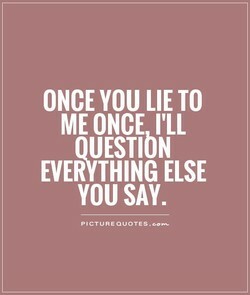 Tell me lies. I will still be who I am. The world lies right beyond the handlebars of any bicycle. Failures lies concealed in every success in every failure. Do me wrong, do me right, tell me lies, but hold me tight. The lies are in the dialogue, the truth is in the visuals. The politer the society, the greater the lies it requires. I don't teach lies, but I do not teach all I know is true. Beneath every excuse lies a fear. Practice being fearless. 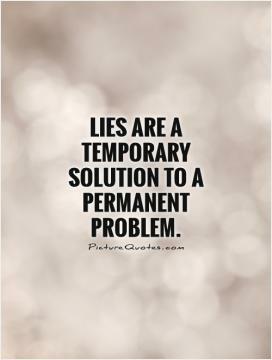 How easily the truth is lost, and how persistent lies are. A ring of gold with the sun in it? Lies. Lies and a grief. 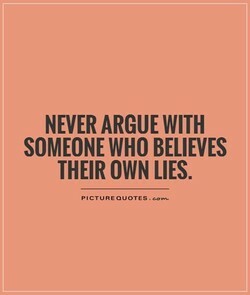 Deliverence from believing lies must by by believing truth. Lies were only as strong as the suckers that believed them. Lies written in ink cannot disguise facts written in blood. 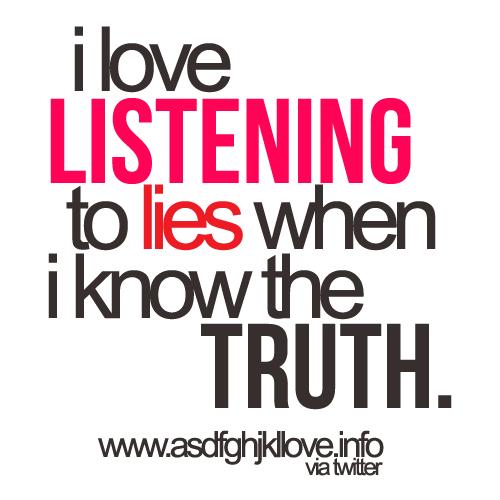 Those who listen to lies lose the ability to hear the truth. Our way lies not in human ingenuity, but in a return to God. 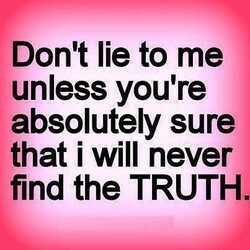 The hardest lies to detect are the ones surrounded by truth. The secret of success lies in this simple sentence: Why not? All hopes are lies, all expectations of the future are lies. Because of lies, we can produce and invent a possible world. In every grain of wheat there lies hidden the soul of a star. Wars are started by the truth. Peace is proclaimed with lies. Temptation does not make the sin, it lies ready in the heart. Belonging to oneself--the whole essence of life lies in that. Time will not slow down when something unpleasant lies ahead. Let a man be ne'er so wise, he may be caught with sober lies. 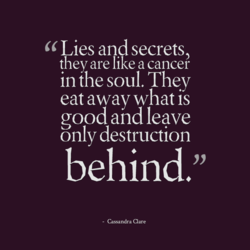 Facts - behind them lies the whole fabric of deductive truth. French elegance lies in the balance of romance and restraint. 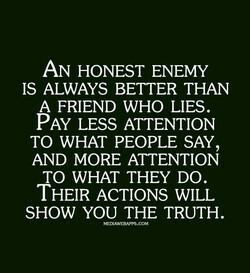 TRUTH may hurt temporarily, but LIES leave marks permanently. But our great security lies, I think, in our growing strength. My gravestone will say,'Here Lies Damon Lindelof - Or Does He? The mystery lies in the use of language to express human life. 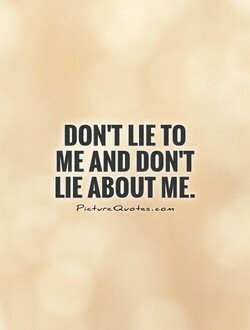 I don't tell lies about anybody. That's why i win all my wars. Some truths did not bear saying, and some lies were necessary. My son was killed in a war without honor for the sake of lies. Next to genius is the power of feeling where true genius lies. 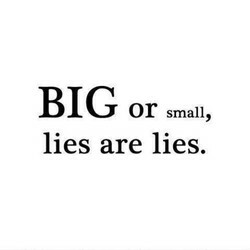 Everyone tells tiny lies, what's important really is the size. The pathway to educational excellence lies within each school. How many beginnings before you see the lies in your excitement? Meaning lies as much in the mind of the reader as in the Haiku. Ne speaketh not; and yet there lies a conversation in his eyes. He warns the heads of parties against believing their own lies. In the end, fiction is the craft of telling truth through lies. We obviously need the truth. We're living in a country of lies. ...A long struggle lies in store for me in this field of color. Reality lies far beyond space and time, and I need to know why. Look well to the hearthstone; therein all hope for America lies. At either end of the social spectrum there lies a leisure class. See, the night doth enfold us! See, all the world lies sleeping! The outlook for our country lies in the quality of its idleness. The temple through which alone lies the road to that of Liberty. They'd rather hate you for the truth than love you for the lies. We [must] realize that our future lies chiefly in our own hands. The real danger to the Earth lies in this excessive consumption. The vice lies not in entering the bordello but in not coming out. The true state of the union lies in your heart, and in your home. Happiness lies in the fulfillment of the spirit through the body. If you live in bad faith, lies will appear to you like the truth. The only limit to the power of Almighty God lies within you & me. Tell me anyway--Maybe I can find the truth by comparing the lies. ... within every form of oppression lies the seeds of liberation. 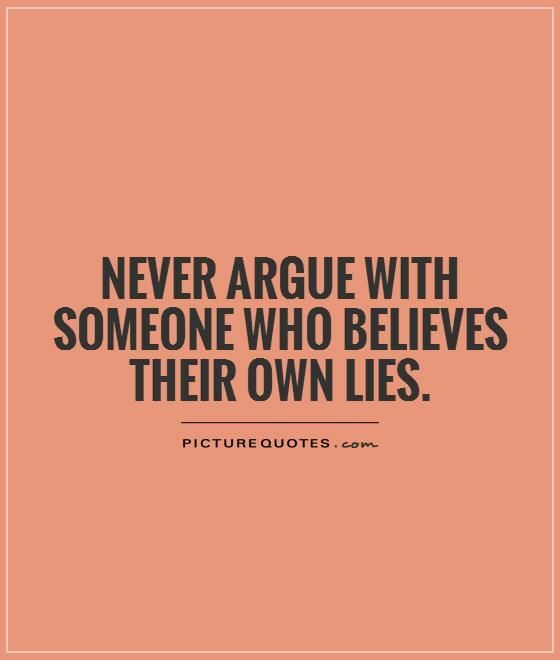 Leaders speak truth into people who believe lies about themselves.